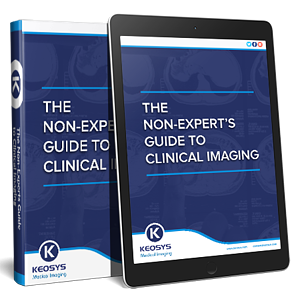 Download "The Non-Expert's Guide to Clinical Imaging"
Advances in imaging technology have led to its status today as one of the most powerful and versatile tools in research. As this technology advances, the challenge is to keep up with the different imaging modalities available, what value they each bring, and how best to execute this type of analysis in your clinical study. We discuss these challenges and more in this 20-page ebook.